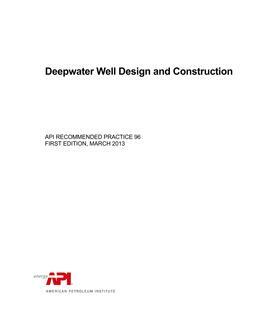 This recommended practice describes methods designed to prevent shallow-water flow (SWF) during and following cementing of wells located in deep water. It is the compilation of technology and practices developed and used by many operators around the world. 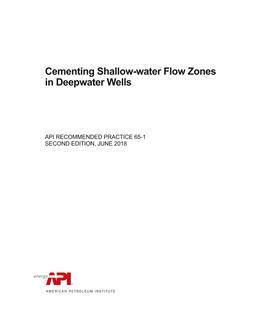 Although most of the discussion in this standard is focused on shallowwater flow (SWF), shallow flows can be mixtures of water, gas, gas hydrates, and formation fines. There is no single method of preventing shallow-water flow and many of the activities described can require customization to fit individual well conditions.